Right lateral view of the right serratus anterior. The arm and scapula are ghosted in. Permission Joseph E. Muscolino. The serratus anterior looks like ribs in a well-developed individual. 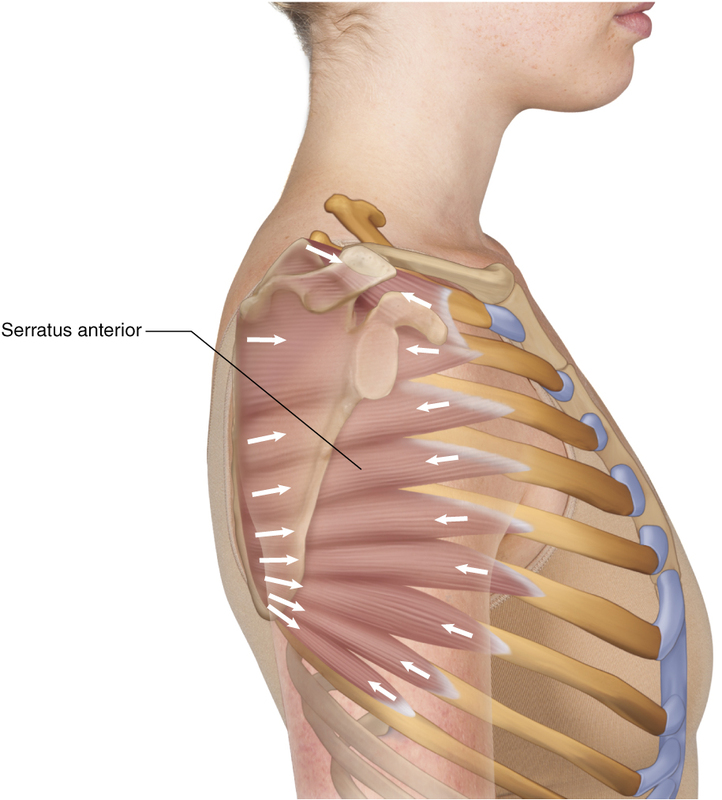 The serratus anterior also helps to hold the medial border of the scapula against the rib cage wall (i.e., prevents “winging of the scapula”).